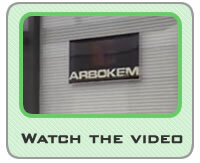 Arbokem Inc. was founded in 1983 as an independent technology management and R&D company. We have been operating our own research and development laboratory since 1984. We are on the leading edge of developing new process technology in our own laboratory and also in collaboration with international research and academic institutions. This compound, one of the most potent mammalian mutagens known to mankind, is formed by the chlorination of inadequately-treated water. The MX compound has been detected in most municipal drinking water supplies throughout the world. Invention of a novel means to produce papermaking pulp from agricultural fibres (1985-2000). The outcome was the industry development of a zero-pollution, agri-pulp manufacturing protocol and the release of our super-green "Downtown Paper" in 1994. High cholesterol levels are a risk factor for heart disease which is a leading cause of death. Plant sterols are used to lower cholesterol in humans and, thus, prevent heart disease. Our technology is now practiced at the world's largest facility for the manufacture of plant sterols. Development of a novel concept for the washing of mechanical pulp to control water pollution from wood pulp mills (1976-1979). This concept is now standard practice in the global pulp and paper industry to reduce the amount of effluent discharged into the environment. Invention of a novel use of persulphate for the enhanced bleaching of cellulosic pulp (1987-1997). This technology would eliminate the discharge of deleterious, chlorinated organics in bleached pulp mill effluent. We have over 180 publications in various fields including agricultural economics, biogeochemistry, biomass energy, botanical chemistry, business economics, chemical process technologies, commodity market analysis and trading, electrochemistry, environmental chemistry, human nutritional health, regional and global politics, pollution abatement technology, pulp and paper manufacturing, road pavement construction, transportation fuel technology, and water resource management. We have more than 10 process and end-use patents issued and pending. 2005© Arbokem Inc. All rights reserved.